For many years, Compunetix has served the courts and legal sector with reliable and secure audio solutions, via Sonexis CourtConnect, to conduct remote telephonic court hearings and more. 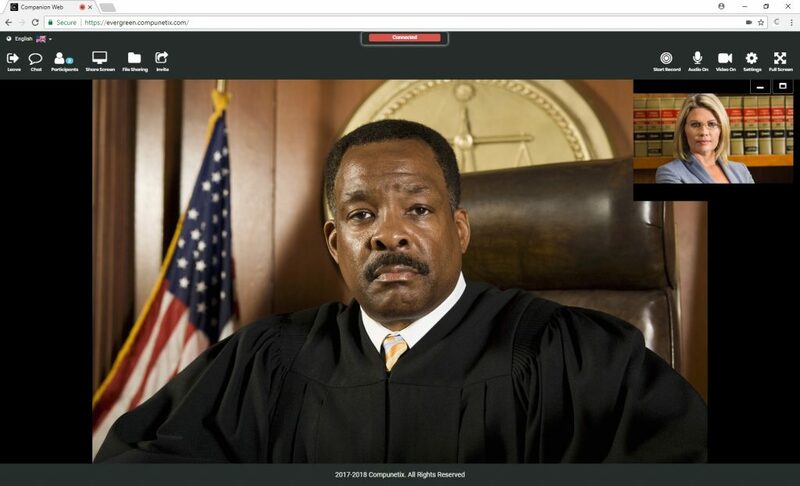 As remote telephonic hearings have become more prominent in federal, state, and local courts, Compunetix teamed with ATI to power their comprehensive virtual court tool, VCourt. Through this partnership, a growing interest in remote video court appearances was recognized as a necessary element to enhance our court offering. With this, Compunetix is excited to announce our brand new HD Video integration across our court and legal collaboration platforms! This seamless new integration combines the powerful audio of the Sonexis ConferenceManager2 with the HD video capabilities of our Evergreen video solution. Available via any video endpoint (room systems, browsers, etc. ), virtual hearings have never been more accessible to the courts and lawyers. 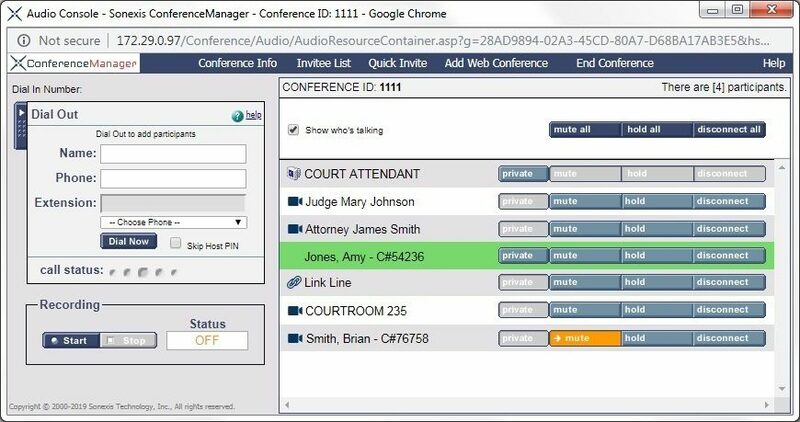 This tool is meant to be utilized by the Courtroom Attendant or conference host to manage the remote participants joining the call via audio and/or video. In addition to it's powerful conference management tools (hold, mute, dial out, etc), the Media Console has been updated to reflect the new video capabilities offered by this integration. Next to each conference attendee is an icon that indicates how each participant has joined in addition to audio, via web or video. Courtroom - This participant is a Video end point from the Court Room itself. As long as it is unmuted and not on hold, it is fully live in the conference.